When we think of Core Strength we immediately think of the abdominal muscles being strong and activated, giving the appearance of a 6-pack. However is this all that core stability is? If you have a 6-pack does this mean you have good core stability? There have been numerous studies into developing the idea of ‘Core Strength and Stability’ and how exercises may assist in the rehabilitation and maintenance of a healthy back. This definition makes sense anatomically however the debate isn’t that simple. Richardson and Hodges argued that the core was like a box with your abdominals in the front, paraspinals and gluteals in the back, the diaphragm as the roof and the pelvic floor and hip girdle as the floor. This is a nice easy way to look at the core muscles, however questions still stand over what the function of these muscles are. Therefore is it the absolute strength of all these areas that gives you a strong core? The reality is it’s never that simple. Core strength and stability is a dynamic concept which relies on the fine balance between the intrinsic muscles in the spine (multifidus) providing spinal stability and the extrinsic muscles such as rectus abdominus and transverse abdominus to provide uniform stability and strength for the spinal segments. It is when there is an imbalance in this system that there can be issues involved in poor core stability. It is therefore important to make a conscious effort to focus on developing the correct movement patterns to ensure the body is well equipped to provide strength and stability to the spine in the correct fashion. 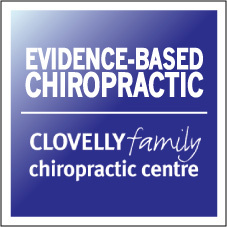 To find out more about this topic please have a chat to our friendly team at Clovelly Randwick Family Chiropractic & Rehabilitation Centre.